Golf is a Sport. Golfers are Athletes. Train like One. The most important tool for golf is the GOLFER! 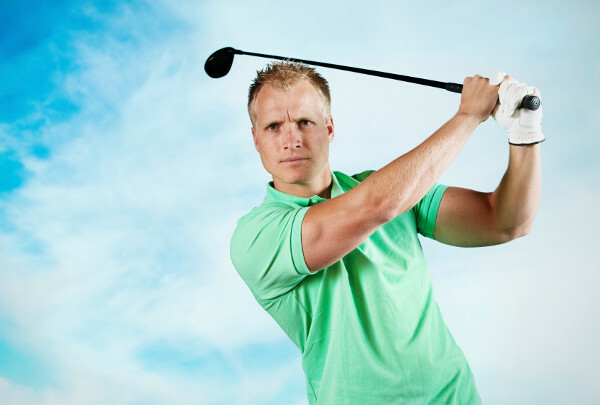 The golf swing is a very complex athletic movement that requires synchronization of every muscle and joint in the body. It produces significant stress on the spine, hips, and shoulders. It is imperative that your body is conditioned properly to effectively dissipate these forces. If you have muscle imbalances and/or a weak core, one or more of these areas of your body will be overworked. The inevitable result will be less than optimal performance and, sooner or later, injury. In order to consistently play to your peak potential and avoid being sidelined by injuries, you must condition specifically for golf. All of our Golf Fitness Coaches have extensive education in exercise physiology, in addition to certifications from The Titleist Performance Institute. Our System incorporates the best of TPI, along with The CHEK Golf Fitness System, and over 22 years of “in the trenches” peak performance conditions for athletes (14 years specifically with golfers). Our coaches are NOT a golf instructors. Instructions on specific swing mechanics and course management skills should come from a PGA teaching professional. We are not concerned with your clubs, but rather with your body’s physical ability to use them as tools. When your body is symmetrical, balanced, and powerful, you will receive increased benefit from your golf lessons. Your teaching pro will no longer have to find compensations to overcome your physical deficits. The combination of a qualified teaching professional and The Renegade Golf Fitness System is your ticket to optimal performance and longevity. Call today to set up a no obligation tour of our facility, and allow us the privilege of addressing your golf fitness goals.